Several newbehind the scenesphotos of Matthew Macfadyen filming on the set of his BBC adaptation of Charles Dickens' "Little Dorrit" have surface online. Capitol PicturesFamous.ukPlus MM with his wife and kids visiting him on the set at The Daily Mail. 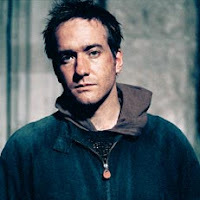 Also, according to Matthew Macfadyen News, Little Dorrit will be broadcast on the 1st Week of November. According to KeiraWeb.com, to promote her upcoming film, The Duchess, Keira Knightley will be a guest on Late Show with David Letterman on Monday, September 8th. Then, she'll be on Live with Regis & Kelly on Tuesday morning, September 9th, and Late Night with Conan O'Brien much, much later that same day. Duchess Premiere Wednesdays for the next two weeks: London Leicester Square on the 3rd , New York Plaza on the 10th, with Toronto TIFF in between on the 7th. Italy will see the movie out on December 23rd, and the Australian release has been pulled forward to October 2nd. Talulah Riley's (best known for her role as Mary Bennet of the 2005 film Pride & Prejudice) next film will be The Boat That Rocked, a comedy with a big ensemble cast. It is being written, produced, and directed by Richard Curtis, writer (producer and *director) of Bridget Jones's Diary, Bridget Jones: The Edge of Reason, *Love Actually, Notting Hill, and Four Weddings and a Funeral films. 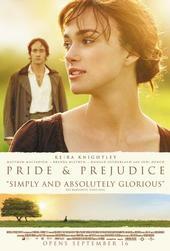 Also, it's being made by Working Title Films for Universal Pictures, who also made Pride & Prejudice. 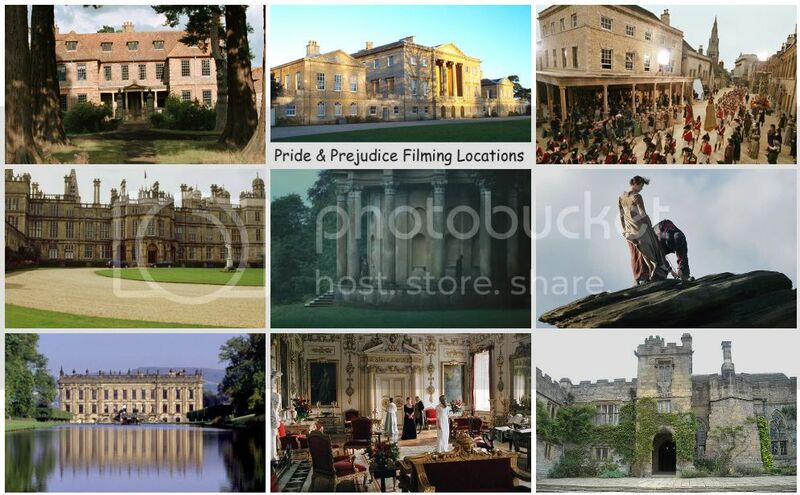 Principal photography started started last March (2008) on location off the coast of England and ended in June 2008. Release Dates:30 April 2009 (Germany) more. Jena Malone's next film project will be The Messenger, which is currently in post-production and to be released in 2009. Jenna (as Kelly) will co-star with Woody Harrelson, Ben Foster, and Samanta Morton. Brief Synopsis: An American soldier struggles with an ethical dilemma when he becomes involved with a widow of a fallen officer. Question: Tell me about The Messenger. What is that? You play a character in that called Kelly, right? 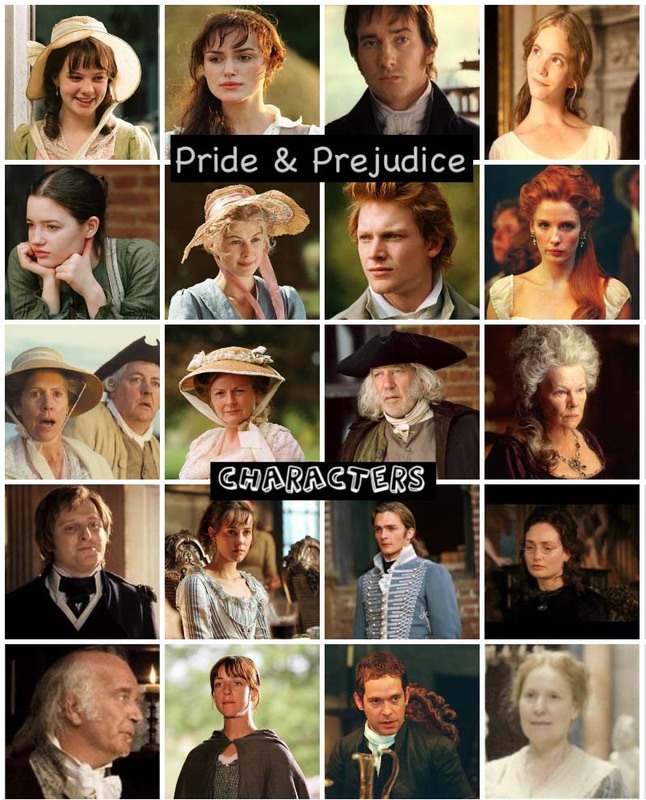 Carey Mulliganbest known for her role of Kitty Bennett in the 2005 film version of the Jane Austen novel Pride & Prejudice (with co-stars Keira Knightley, Matthew Macfadyen, and Rosamund Pike to name a few) has 4 upcoming films, 2 being released later this year (2008) and 2 in the following year (2009) and a broadway debut starting September reprising her role of Nina (with Kristin Scott Thomas and Peter Saarsgard, her An Education co-star) in the critically acclaimed Royal Court Theatre production of Anton Chekhov’s THE SEAGULL. According to Wikipedia's page for Carey Mulligan , following P&P movie, she appeared in the BAFTA award winning BBC adaption of Charles DickensBleak House as one of the orphans Ada Clare. Next she appeared in an acclaimed 2007 revival of The Seagull and the well-received film adapation of Blake Morrison's memoirs And When Did You Last See Your Father?. She rounded out 2007 by appearing with Daniel Radcliffe and Kim Catrall in My Boy Jack. Rosamund Pike to play Honeychile Rider? According to the UK's Daily Mail, Rosamund Pike is asked to play Honeychile Rider...minus the bikini. It is one of the classic James Bond scenes – Ursula Andress emerging from the sea dressed in a white bikini and clutching a seashell in the 1962 film Dr No. Now Rosamund Pike, who played Bond girlMiranda Frost alongside Pierce Brosnan in Die Another Day, is being asked to reprise the glamorous role of Honeychile Rider. But she won’t have to get wet – just read extracts from Ian Fleming’s Dr No at a tribute gala to celebrate the 100th anniversary of his birth. ‘We very much hope Rosamund will read the part,’ says Lucy Fleming, the author’s niece. 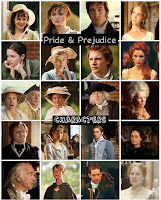 iTV's new period drama (2008 TV mini-series) titled, Lost in Austen is said to premiere on UK's ITV on September. According toThe Official London Theatre, Rosamund Pike will be reunited withDame Judi Dench when they take to the stage in Madame De Sade at the Wyndham’s theatre in March next year. The pair previously appeared together in Bond film Die Another Day. Pike, whose big breakthrough came playing the chilling Miranda Frost in Pierce Brosnan’s final blockbuster outing as the suave British secret agent, has recently made a name for herself on the London stage, appearing in plays including Summer And Smoke, Gaslight and Hitchcock Blonde. Since filming Die Another Day, her screen appearances have included The Libertine, opposite Johnny Depp, and Pride And Prejudice, alongside Keira Knightley. In Yukio Mishima’s play Madame De Sade, Pike plays title character Renée, wife of the notorious Marquis De Sade, whose story is told from the viewpoint of six women. Dench plays Renée’s mother, who disagrees with her daughter’s devotion to a husband imprisoned in the Bastille. According to City News, Keira Knightley and costar Ralph Fiennes are listed to attended the festival next month. They will be joined by many other big names such as Natalie Portman, Matt Damon, and Brad Pitt (See the complete list here) to name a few. The2008 Toronto Film Festivalruns from September 4th to the 13th and will unveil 312 films including Keira’s The Duchess. According to IMDB.com's listing, one of Matthew Macfadyen's films for 2008, Frost/Nixon will have its limited U.S. theatrical release on December 5th. Matthew co-stars with Frank Langella, Michael Sheen, and Kevin Bacon in this film, which is directed by Ron Howard. To spark interest among fashionistas, Paramount Vantage has teamed up with Fashion Week Daily to co-host an elegant party during the upcoming New York Mercedes-Benz Fashion Week. The glam “Duchess” bash will take place in the Plaza’s ostentatious Grand Ballroom on Sept. 9, the night before the film’s New York premiere. (The movie opens Sept. 19.) This is the week that simply everyone who is anyone in fashion will be in town for the Spring ‘09 fashion shows. Two major Duchess features in today's British press: Daily Mail and Daily Telegraph, the latter with links to two photo galleries. The Duchess will get a New York premiere on September 10th, with Keira in attendance. The Soloist: Official Movie Site is now up, but no contents there yet other than the movie's info and official release date for November 21st, 2008. Studio: DreamWorks SKGThe Plot: In Los Angeles, reporter Steve Lopez (Downey Jr.) befriends Nathaniel Ayers (Foxx), a brilliant but troubled musician and one-time Julliard student who currently lives on Skid Row. In a series of revealing articles, Lopez draws attention to Ayers's remarkable story, while Ayers still dreams of a grand performance at Walt Disney Concert Hall. According to the Mirror, rather than do the usual St Trop ez-Ibiza circuit, Keira Knightley and beau Rupert Friend are spending their summer hols on the far-flung islands of Indonesia. Check out a couple new pics of Keira & Rupert from Mirror and NOTW. According to Keira Knightley Fan site, a preview of Keira Knightley's upcoming spread in Glamour Magazine (UK) has surfaced online. Check out the scans of Keira Knightley's images and article in Glamour Magazine @ Keira Knightley Fan's Image Gallery here. Also, speaking of KK's magazine covers, she's also in the current issue of Vogue Magazine (with the cover image to your left --->). The magazine's very thick and heavy with a big Keira Knightley spread...several awesome and new KK pics inside the mag. Be sure to get your copy. It's a must for KK fans. An exclusive first look behind the scenes video of The Duchess featuring a very short interview of Keira Knightley from handbag.com. Meanwhile the official website for The Duchess has been updated again with more new features and a bigger, wide screen trailer on the main page of the site. Check it out! In addition, Keira is scheduled to attend The Duchess London Premiere on September 3rd and The Duchess will also premiere as one of the Gala Presentations at the 2008 Toronto International Film Festivalon September 4th. 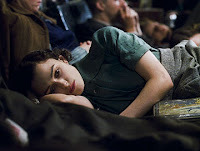 Earlier tonight the2008 Teen Choice Awards was aired on Fox and Keira Knightley snagged a Teen Choice Award for Atonement. Her role in Atonement is the 7th surfboard she won from TC (out of her 10 nomination) in the last 4 years. Meanwhile, Becoming Janestar Anne Hathaway'slatest film, Get Smart won for Choice Summer Movie Comedy: "Get Smart"
Read a full list of TCA 08 Winners here. Speaking of TCA, check out a full list of Keira's 7wins (out of 10 nominations) from Teen Choice Awards including her latest win for her role in Atonement. Though she mostly won the surfboards for Pirates movies. The very last part of the 4-partP+P Movie Premiere photos-posting here is the only U.S. premiere for P&P, the New York City Premiere. P&P stars Keira Knightley, Matthew Macfadyen (with wife Keeley Hawes), Donald Sutherland, Brenda Blethyn, Simon Woods, and Rosamund Pike, with director Joe Wright were in attendance at the premiere.